Development by the Budapest section of Europe’s second largest river, the Danube has long been in the public discourse. 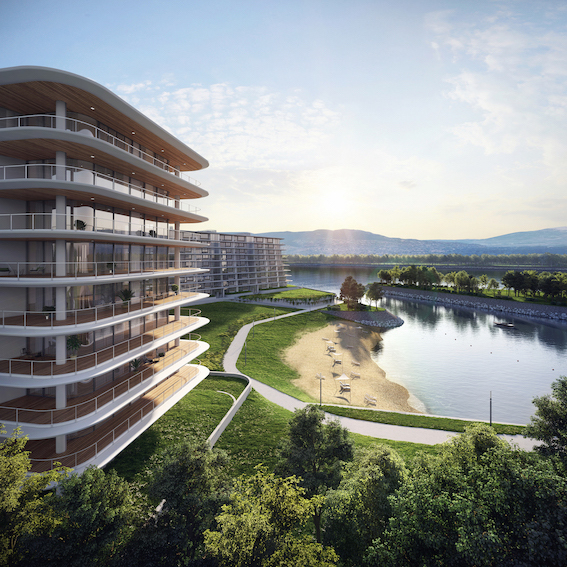 A contemporary approach that respects residents, locals and the environment were long overdue until developers of DANUBIO – a piece of land that has a direct connection with the main branch of the river, a marina bay, and a creek – teamed up with Bence Turányi architect to bring a uniquely fresh approach. 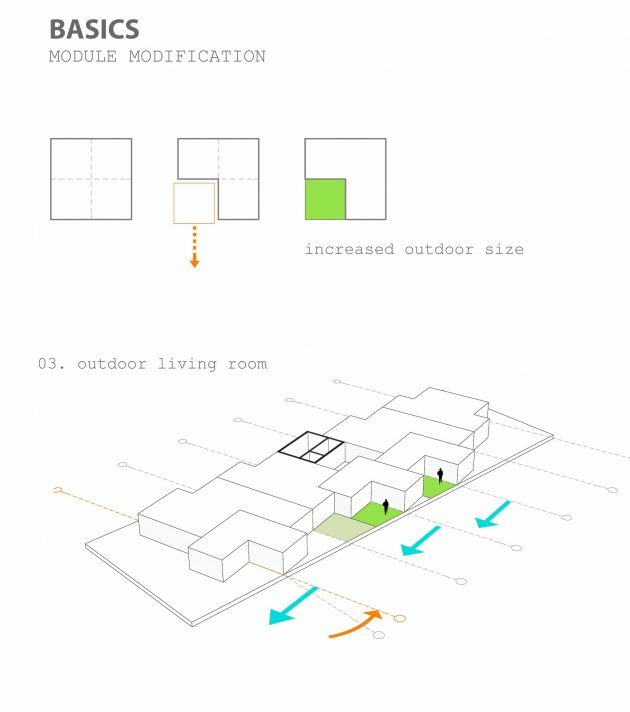 They decided to give new residents a huge degree of freedom and invite them to take part in the configuration of the apartment mix of the building, working with a modular apartment mix, a pillar frame structure and a digital tool using an algorithm. 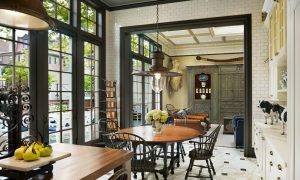 Every time a new member enters the community of residents, they can define the typology, orientation, location of their future home, because the configuration of the rest of the building can be easily changed during the design process. 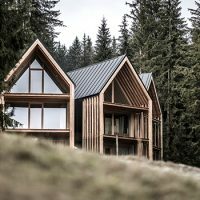 The residential building also breaks every preceding local development practice by its treatment of surrounding public spaces, environmental consciousness, and the experience it gives to residents to enjoy the natural surroundings from the inside of the building. Construction has started and is due to be finished in 2019. 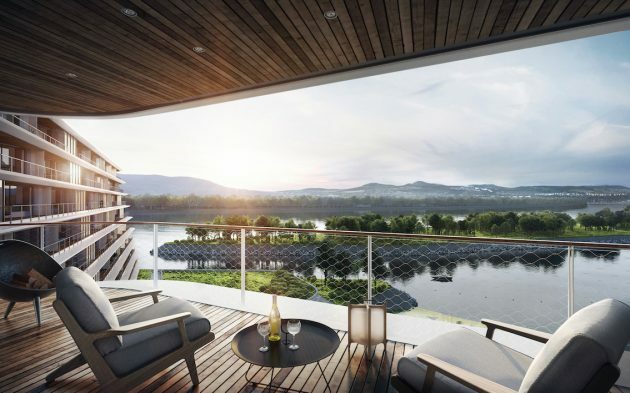 The design concept behind the development of DANUBIO is the unity with the view and the river. 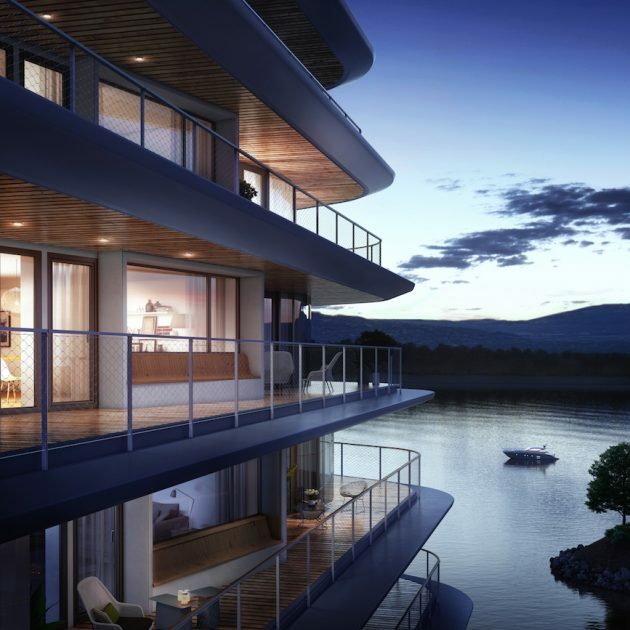 Similarly to the deck of a yacht, an external unit has been designed that runs all the way around the facade of the building, while at the same time maintaining in its appearance a nautical elegance: “High-tech design and technical precision go hand in hand in yacht design. 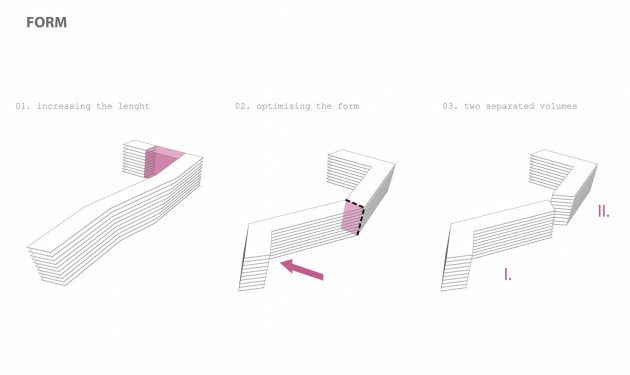 The combination of such high degree of refinement and engineering has always been attractive for architects, and may also have influenced me while creating the concept of DANUBIO” notes Bence Turányi. 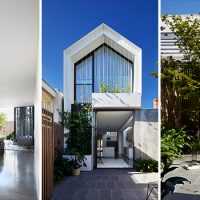 Besides his earlier encounters with the river – particularly the internationally acclaimed revitalisation of the Lagymanyosi bay – his historical inspiration for this particular residential construction was a set of elegant 1930s buildings on the close vicinity of the riverbank that stood the test of time and served as a model in terms of elegance, conceptual and architectural quality, and hide the very first penthouse flats of Budapest. 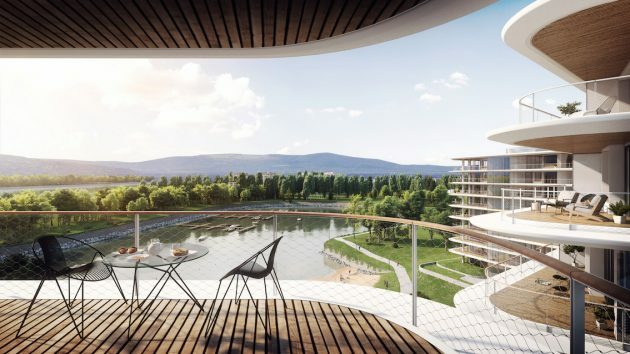 In DANUBIO most apartments will have a view of the Danube and extensive covered outdoor area to serve as an organic continuation of the internal space. 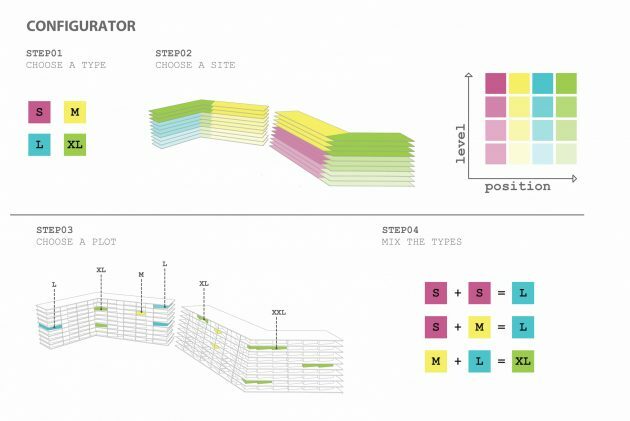 By using an “inside out” method of design, the architect approaches planning from the human perspective, and from the point of view of the experience from inside the building. The covered outdoor loggias, oriented towards the Danube are decently sized and represent a transitional space between the interior and exterior. 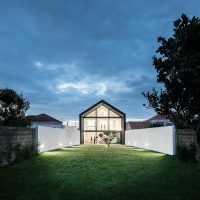 The studio decided to go with an expansive, slightly bent and broken form allowing the development to make the best use of the orientation, and also creating an object-like sculptural construction. 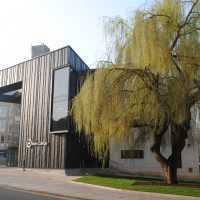 Mass-forming of the building was also developed to optimize energy consumption. 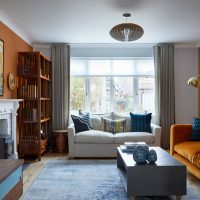 Expansive floor-to-ceiling windows allow for natural light and views while ensuring optimal summer and winter solar capacity, helping to make the running of the building more economical. 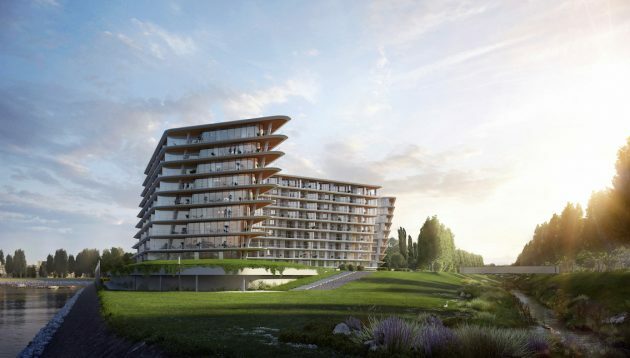 In the spirit of sustainable and environmentally conscious development, DANUBIO is being built to a standard that is uniquely high within the current crop of residential developments of Budapest in terms of reduced energy consumption and making limited impact on the environment. 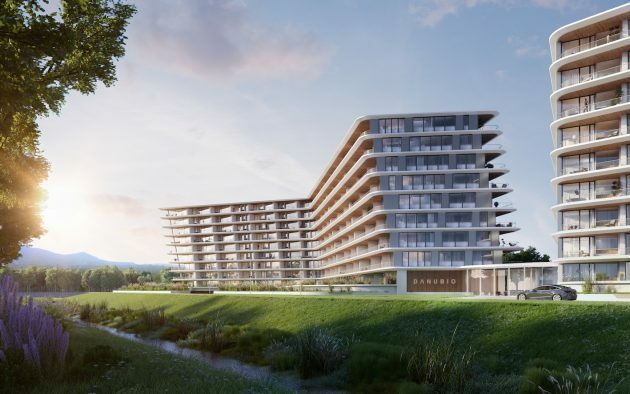 DANUBIO is the first residential development in Hungary that is being assessed by BREEAM, the world’s leading sustainability evaluation method for either Very Good or Excellent certificate. 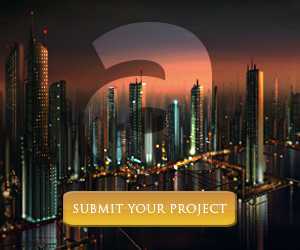 The design concept is in full accordance with the development strategy of the surrounding public areas. The developers are creating a promenade open for public use between the creek along the Danube till the marina bay. There will also be a public park to relax in, a playground, and a beach – making the development an integral part of the life of both the neighborhood and the city itself. 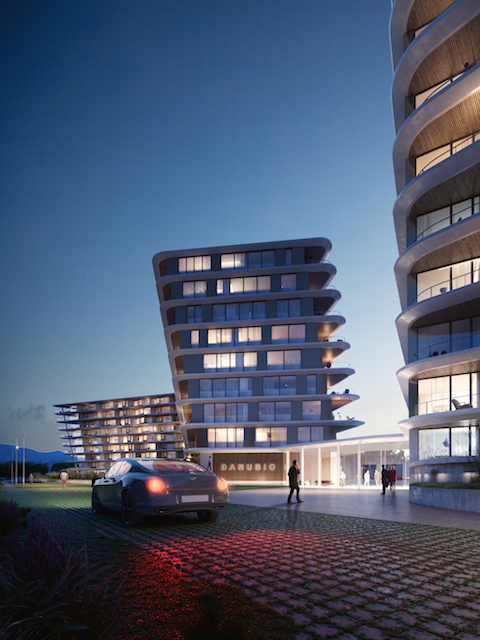 The architectural concept behind DANUBIO was worked out by T2.a Architects, with Bence Turányi at its head and the developer in charge of the project, Peter Somfalvi. 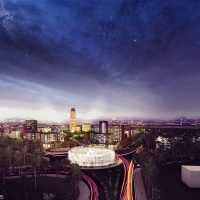 Their goal is to provide a livable environment for residents and to make both the local community and Budapest proud.